코리아 란도너스 사이클링 저지 디자인 공모를 통해 7개의 디자인을 받았습니다. 모든 회원은 공식 ”코리아 란도너스” 사이클링 저지 선택을 위한 투표를 하실 수 있습니다. 투표는 2라운드로 진행됩니다. 첫 라운드에서 가장 높은 점수를 받은 2개의 디자인을 선택하고, 두 번째 라운드에서 최종 우승이 결정 됩니다. 첫 번째 라운드는 8월 22 일까지 진행되며 높은 점수의 2개 디자인이 선정 될 것입니다. 두 번째 라운드는 9월 1 일까지 진행될 것이고 최종 우승 디자인이 선정 됩니다. 또한 모든 회원은 선정된 “코리아 란도너스” 저지를 주문하실 수 있습니다. 이 저지는 10월 1일에 개최되는 1000k SBS 에 맞춰 제작 될 것입니다. We have received seven design proposals. 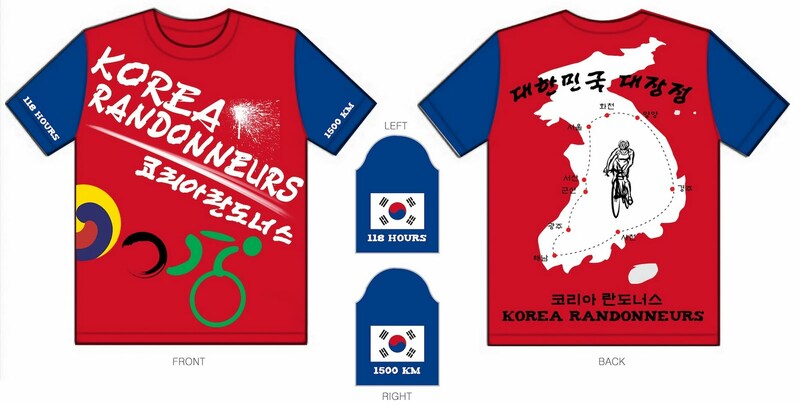 Every member can vote to select the official “Korea Randonneurs” cycling jersey. There will be two rounds of voting. In the first round we will select the two top scoring jerseys and in the second round the winning jersey will be selected. In each round every member of the Korea Randonneurs has ONE vote. The first round of voting will close on August 22 and the two top jerseys will be announced. The second round of voting will close September 1 and the winning jersey will be announced. 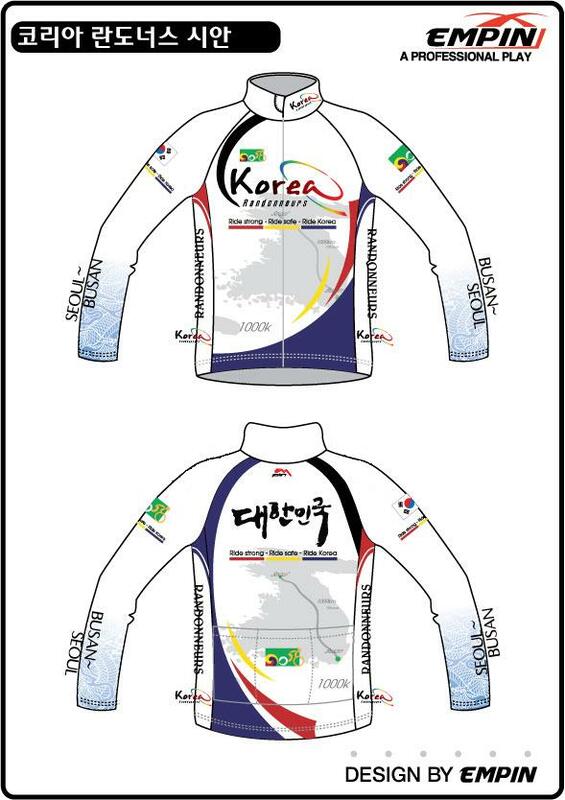 The first ever “Korea Randonneur” jersey can then be ordered. We will try our best to have jerseys ready for the 1000k SBS on October 1.